Torque Logistics is one of the world’s most innovative and experienced supply chain logistics operators. Located in Bradford the company is also one of West Yorkshire’s fastest growing third party logistics providers. 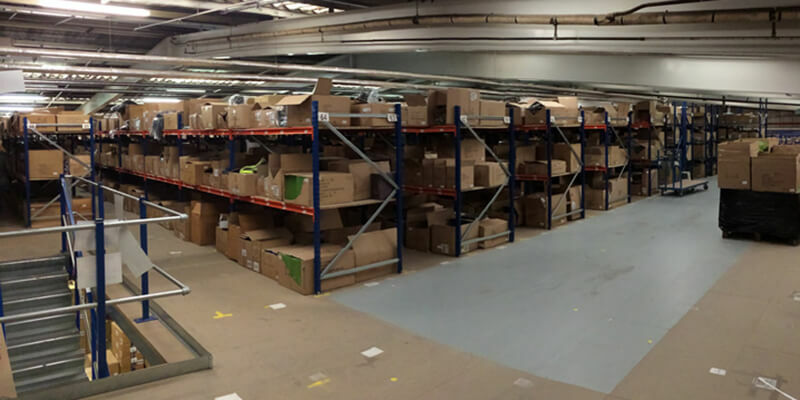 They contacted Quickline as they had an immediate requirement for 100 bays of Longspan to be installed on top of one of their Mezzanine Floors. Quickline got to site within two weeks and completed the installation within one week. This service impressed Torque and we have since supplied two further projects.